Dodgers Blue Heaven: Cardinals Series Starts on Friday - Scheduled Autograph Sessions, Pregame Info and Other Stuff! Cardinals Series Starts on Friday - Scheduled Autograph Sessions, Pregame Info and Other Stuff! 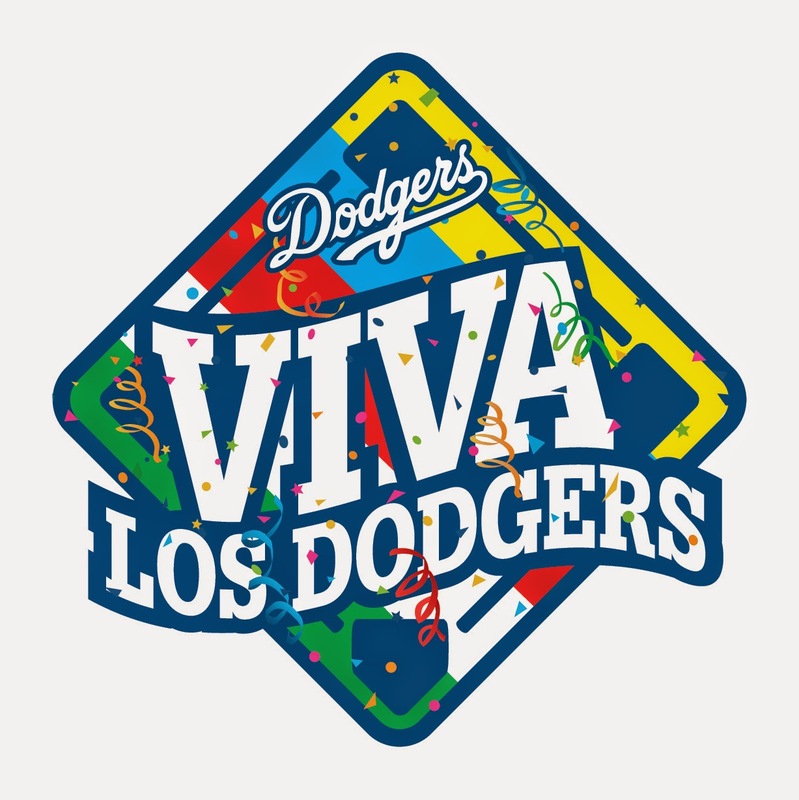 The next homestand starts on Friday against the St. Louis Cardinals, and several former Dodgers are scheduled for an autograph session with fans as a part of Viva Los Dodgers. Below are the scheduled autograph opportunities and other odds and ends for this upcoming homestand. The St. Louis Dog will be available for this homestand only against the Cardinals at the Extreme Loaded Dog concession areas located on the field, loge and reserve levels. 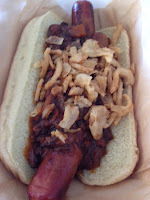 It features a quarter-pound, all-beef hot dog topped with smoked beef brisket, tangy BBQ sauce and crispy onions. A BBQ cheeseburger will also be available Friday and Saturday. The Angus beef BBQ cheeseburger will be offered at the Bud and Burgers food truck in the left-field pavilion. Sunday, the food truck will be located at Viva Los Dodgers at the 76 station. Fans can help save lives by signing up May 14-17 to donate blood during the American Red Cross’s 18th Annual Angels/Dodgers Blood Drive on June 11. From the start of the game through the sixth inning, fans can sign up on the top deck, reserve and loge sections. To schedule an appointment, donors can go to www.redcrossblood.org and enter Sponsor Code: HOMERUN or call 1-800-GIVE LIFE (800-733-2767). All presenting donors will receive a voucher, good for two tickets to a designated Dodger or Angel home game. Friday's game starts at 7:10 PM. Auto gates open at 4:40 PM, and stadium gates open at 5:10 PM. 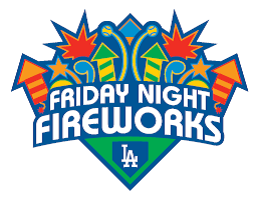 It is Friday Night Fireworks, so fans will be able to go down onto the field after the game to watch the spectacle. Tonight's theme is a celebration of Stevie Wonder's birthday. Go here for more information on Friday Night Fireworks. It is Fitness Night at Dodger Stadium. 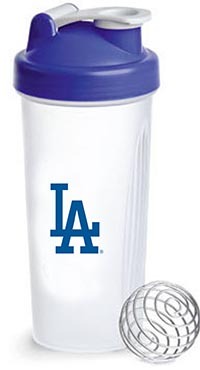 Folks who ordered a special ticket package will get an exclusive Dodgers' Fitness Night shaker cup with your ticket. See that on the left. If not already sold out go here for information. The Dodgers will welcome a special guest -- Melissa Stockhoff of Houston -- to Chavez Ravine as winner of MLB's Honorary Bat Girl program for the Dodgers. She will be honored on the field and throw out the ceremonial first pitch prior to the game. In September 2015, a surgical biopsy revealed that Melissa, 34 years old and a mother of three (Noah, 7; Clare, 5; Abe, 1) had breast cancer. Melissa had a diagnosis of Stage 3c breast cancer, which had developed in her breast and spread aggressively to the lymph nodes under her arm. Because of the aggressiveness of the cancer, the oncologist recommended a comprehensive treatment plan that involved several months of chemotherapy, further surgery, radiation, five to 10 years of hormone therapy and ultimately a double mastectomy. Melissa finished her final infusion of chemotherapy in March and she continues her fight against cancer. The Dodgers have special meaning to Stockhoff because she and her husband, Andrew, attended a Dodgers game on their honeymoon. The couple will celebrate their nine-year wedding anniversary in June. Andrew Stockhoff served five years in the U.S. Army, including a deployment to Afghanistan. Go here to learn more about her. Brooke Adams, dubb Records recording artist, will perform the national anthem. DJ Adam will provide musical entertainment in the right-field plaza and a face painter and balloon artist will be in the left-field plaza from 5:00 p.m. to 7:00 p.m. The Military Hero of the Game is U.S. Marine Corps Captain Jason Barlaan of Pasadena. Barlaan enlisted in the Marine Corps in 2005. He deployed to Operation Iraqi Freedom in 2008 and Operations Enduring Freedom in Afghanistan in 2010 where he received his second Navy and Marine Corps achievement medal. Barlaan now spends his free time volunteering as a Big Brother in Pasadena, recently married his college sweetheart Cheryl and the couple has a four-month-old son Isaiah. The Los Angeles Dodgers Foundation (LADF) conducts silent auctions throughout the season featuring signed pieces of memorabilia from Dodger players, coaches and alumni. Auctions take place behind the Vin Scully press box on the club level. The items for auction tomorrow include an Adrian Gonzalez autographed jersey, Kenley Jansen autographed baseball and Joc Pederson autographed photo. Saturday's game starts at 6:10 PM. Auto gates open at 3:40 PM, and stadium gates open at 4:10 PM. 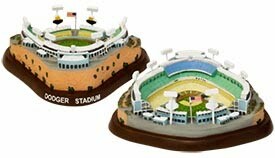 The first 40,000 fans in attendance will receive a replica Dodger Stadium. See it on the right. A special pregame concert will take place on top of the Dodger dugout at approximately 5:35 p.m. Seven-time GRAMMY award winner, Emmy winner, humanitarian, singer, songwriter and producer Ziggy Marley will perform. Marley will release his sixth solo studio album on May 20 through his own Tuff Gong Worldwide label. He will also throw the ceremonial first pitch Saturday. DJ Adam will provide musical entertainment in the right-field plaza, airbrush face painting will be offered in the left-field plaza, DJ Anthony Valdez will provide music in the right-field reserve and the Bear Bass band will provide musical entertainment in the left-field reserve from 4:00 p.m. to 6:00 p.m. The Dodgers and Los Angeles Dodgers Foundation (LADF) will celebrate the inaugural ‘PLAY BALL WEEKEND.' 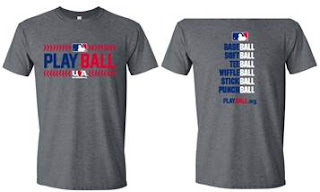 They will wear specially made PLAY BALL t-shirts during batting practice and PLAY BALL patches on their uniforms during the weekend’s games. Find out more about this initiative here. The Military Hero of the Game is U.S. Navy Lieutenant Rod Hernandez of Los Angeles. His first duty assignment was with VFA-27 in Atsugi, Japan, where he served onboard the USS Kitty Hawk. He also served with the Joint POW/MIA Accounting Command in Pearl Harbor, HI, the U.S. Central Command in Tampa, FL and the Navy Expeditionary Warfare Development Center in Coronado. He has deployed numerous times throughout the Pacific, Southeast Asia and the Middle East. Saturday's game starts at 5:05 PM. Auto gates open at 2:45 PM, and stadium gates open at 3:05 PM. 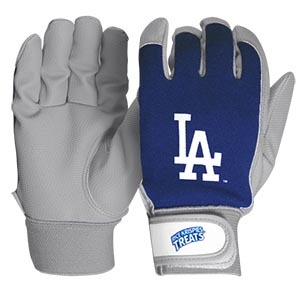 The first 15,000 ticketed kids (14 years old or younger) in attendance will receive a kids Dodgers batting glove. See it on the left. Dr. Drew Pinsky, HLN TV host and host of his own daily radio show in Los Angeles on KABC, will perform the national anthem. GRAMMY award-winning musician and producer Zedd will throw the ceremonial first pitch. It is Viva Los Dodgers in the Dodgers parking lot at the Historic 76 Station. Festivities begin at 3:05 AM. Musical entertainment will be provided by Casa De Calacas and Ballet Folklorico Resurrection. 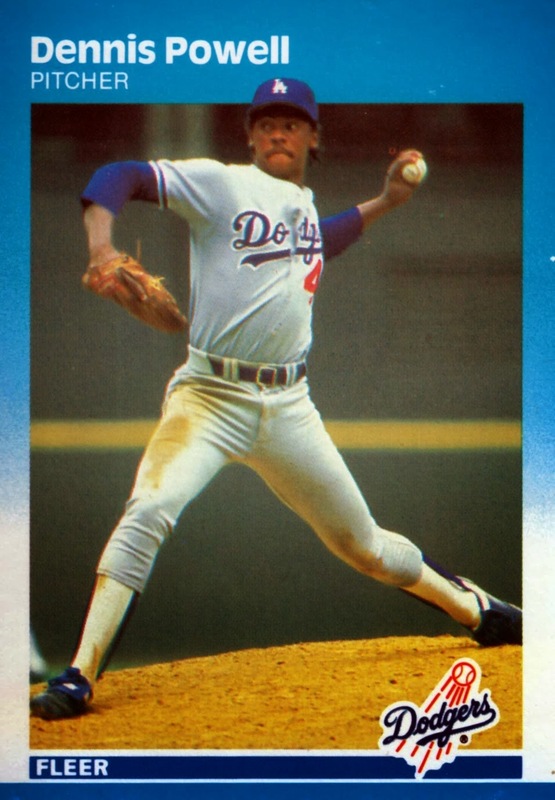 Dodger alumni Manny Mota and Dennis Powell will sign autographs for fans. As part of Adrian Gonzalez’s Viva Los Dodgers program, families from Para Los Niños will attend Sunday’s game courtesy of Gonzalez and wife Betsy. Para Los Niños’ mission is to empower children to break the cycle of poverty though community services, early education, community charter schools, student and family programs and youth workforce services. The Dodgers will also present a Community Hero Award to Dr. Angela Capone, Para Los Niños vice president of early education. The Manhattan Beach Little League will be Sunday’s featured Little League team as part of ESPN Sunday Night Baseball and will be hosted by Adrian Gonzalez. The youngsters will be on hand for batting practice and will receive first base instruction from Gonzalez. The Military Hero of the Game is U.S. Navy Fire Controlman Lauren Bruner of Torrance. Bruner was 21 when Pearl Harbor was attacked. Bruner and his crew were the last to leave the USS Arizona narrowly escaping the USS Arizona in what military historians consider the USS Arizona’s greatest escape. Bruner was wounded by machine gun rounds from an enemy Kate Bomber that flew over the ship and spent seven months in Navy hospitals with burns to over 73 percent of his body. He rejoined the fight and served on the Destroyer USS Coghlan in eight Navy battles earning the ship and crew eight Battle Stars. At 95, Bruner has recently founded his own non-profit foundation, Dream Gift to America, to bring honor to crew members of the USS Arizona by maintaining the Arizona Memorial for future generations. As part of PLAY BALL WEEKEND, All 8 Dodgers RBI partner All 8 Dodgers RBI partner organizations, each represented by an administrator and current player will be recognized on the field during pregame ceremonies. City of Inglewood Department of Parks, Recreation and Library Services, City of Los Angeles Department of Recreation and Parks, County of Los Angeles Department of Parks and Recreation East and South Agency, Hollywood Indies Little League, Los Angeles Boys & Girls Club, MLB Urban Youth Academy in Compton and Boys & Girls Clubs of Venice will partake. Dodgers RBI players will officially begin the game with “It’s time for Dodger baseball!” A Dodgers RBI player will also participate in the managers’ lineup exchange. The Los Angeles Dodgers Foundation (LADF) conducts silent auctions throughout the season featuring signed pieces of memorabilia from Dodger players, coaches and alumni. Auctions will take place behind the Vin Scully press box on the club level. The items for auction Sunday include a Clayton Kershaw autographed jersey, Justin Turner autographed baseball and Yasmani Grandal autographed photo.